My daughter and I spent last weekend eating our way through NYC and stopped at Le Pain QuotidienBakery and Patisserie across from Chelsea Market on Sunday morning. 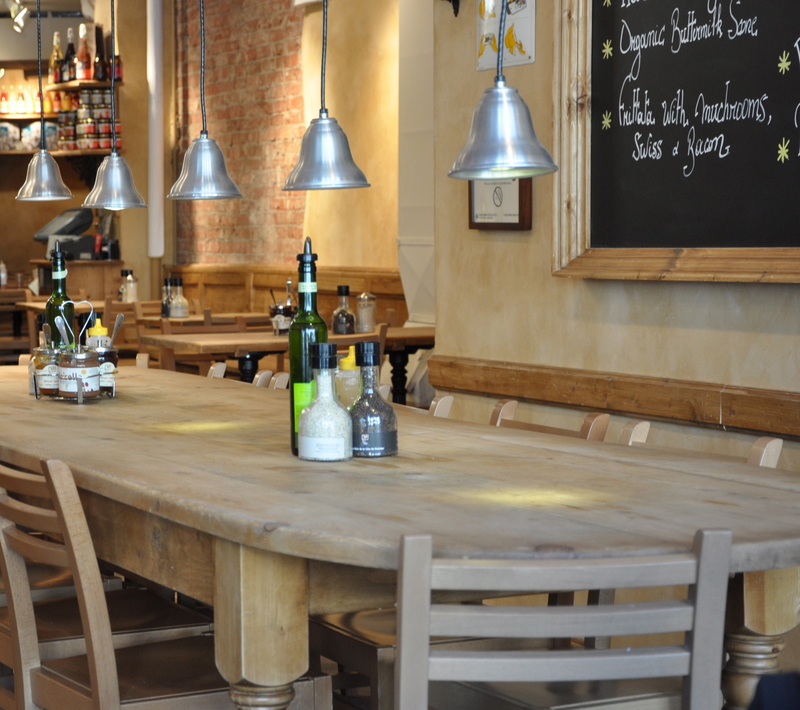 Le Pain Quotidien means “Our Daily Bread” in Belgium. 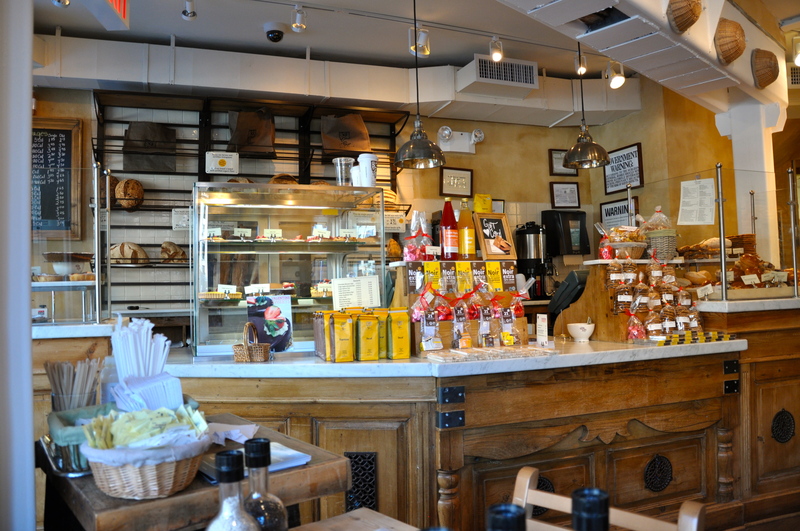 Le Pain is one of my favorite places to eat. The international company has sites scattered all along the East Coast and many in California. (Unfortunately none in Chicago yet.) I discovered Le Pain several years ago when I stumbled upon this adorable European café, bakery and patisserie while exploring the cute beach town of Manhattan Beach in Los Angeles. It was fresh and different and I got that tingling feeling of excitement when encountering something unique. When you step through the door it feels like you’ve been transported to an authentic Belgium café. The bread is amazing. It’s made from only organic stone ground wheat, flour, salt and water. It is rustic and simple with a firm slice and a good crust. They knead and shape the bread by hand and bake it in a hearth. The mainstay of the breakfast/lunch menu are tartines. 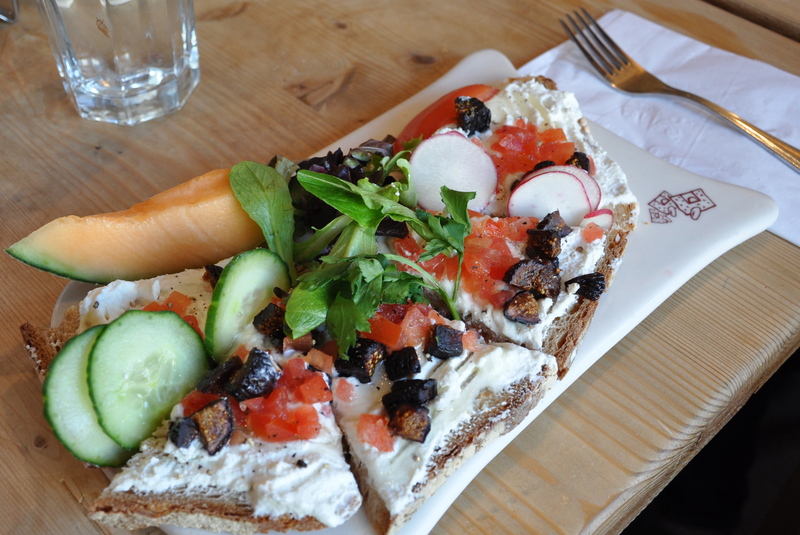 If you are not familiar a tartine is an open faced sandwich along the lines of a crostini or bruschetta but bigger and heartier. Something you tackle with a knife and fork. They are so easy to make at home and the different possible combination of ingredients you can use are endless. I ordered the fresh ricotta tartine with figs and honey (pictured above) . 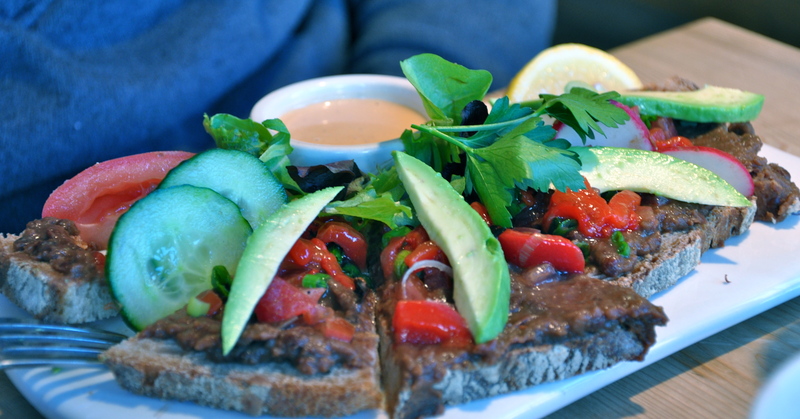 Chloe ordered the black bean hummus, roasted red pepper and avocado tartine. We also splurged and got the Belgium hot chocolate which is an experience in itself. 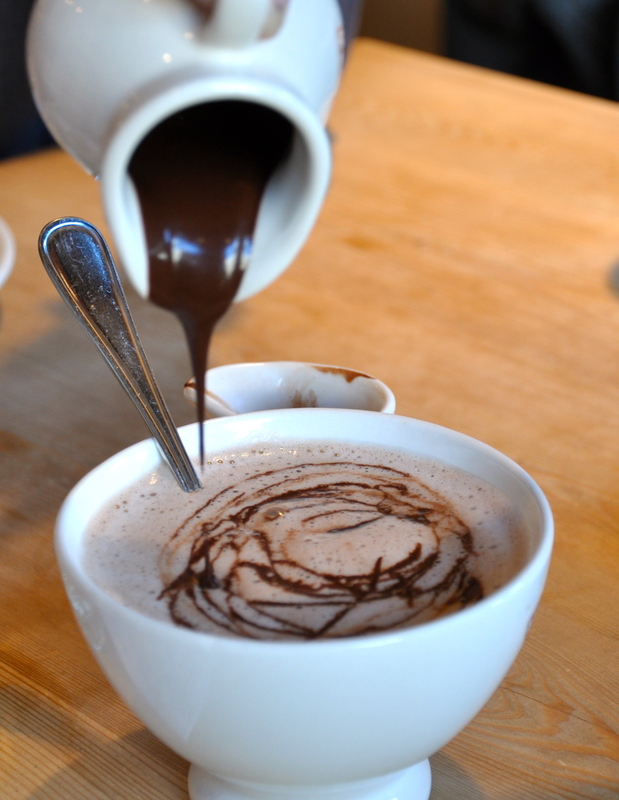 An adorable bowl of frothy steamed milk delivered to your table with a little pitcher of the most decadent chocolate ever that you get to pour into the bowl yourself. So no recipes this week just a dose of inspiration! Just pinch me, I think I am having a tartine for lunch. Ummmm…I just finished a hearty breakfast but am already craving lunch. At this place. Will you please arrange to have this recreated in Chicagoland? Something tells me you could…just exquisite, Cathy! hahahahha I thought you would get a kick out of that! !